Opus Daily Practice, day 11. 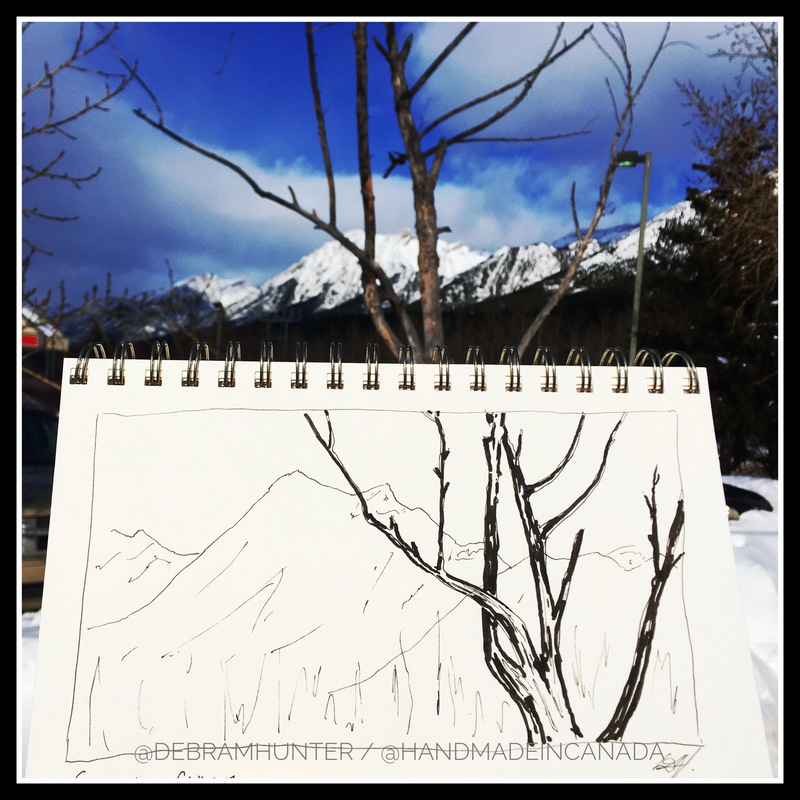 A quick 5 minute sketch from a parking lot in Canmore, Alberta, Canada, and some road knitting. Sometimes life is busy and you have to sneak creative practices in. Opus Daily Practice day 6. The prompt to create work was “repetition”. This is my comfort zone. Repetitive patterns and repetitive shapes in the drawing (still in progress). Repetitive movement in the re-spinning of scrap yarn (eternally in progress!). #opusdailypractice http://www.debra-hunter.com http://www.handmade-canada.com . . . . Ads belong to WordPress.